Foot Pain? Chronic Knee or Hip Pain? Back and or Hip Pain? Feet are your foundation. Feet are often the starting point for pain or compensations that cause pain in other areas of the body. Your feet do not need to hurt for them to be causing pain/imbalances somewhere else in your body. … can be from having an unbalanced foundation. Stabilizing Orthotics were made by a chiropractor to treat the body as a functional unit and give you the support need. Foot Leveler’s Stabilizing Orthodics support the body’s foundation to help adjustments hold better. Giving strength to support the weight of the entire body. Permitting flexibility to accommodate changes in terrain. Your postural condition is as unique to you as a fingerprint. That’s shy Stabilizing Orthotics are individually designed for you, based on your lifestyple and the digital scan of your feet. 3D BodyView: the same precision technology that is used for industrial inspection of jet engines. Precision to help detect excessive pronation or supination that may lead to dysfunctions in the gait cycle. 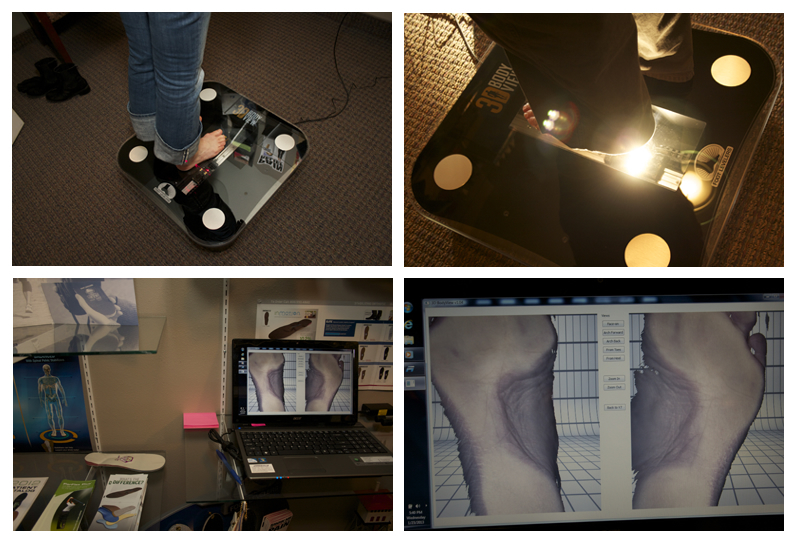 The first in the community and leader with foot analysis: 3-D Foot Scans. Scans are sent to a lab and custom FootLevelers are made, helping stabilize hip, back, knee and feet. This means pain-free activity for many people. Foot Leveler’s are ideal for anyone seeking a healthier, more pain-free lifestyle. From athletes to executives, stay-at-home parents to students and elderly, Stabilizing Orthotics help to shift the body into proper alignment, resulting in reduced pain, improved physical performance and enhanced health and well-being.